Cassie Gambol is looking for a new life. A new town, a new job and a new place with new people. So she moved to Petal, Georgia, and the sheriff looks mighty good! Which would be a good thing if she wasn’t still recovering from the years of domestic abuse that she went through with her ex-husband because, all demons aside, she wants him bad! Cassie is a strong character. She’s the kind of person who wants to do it all on her own, refusing any help and if I’m honest, that was kind of annoying sometimes but at the same time, I guess independence is something you would want after trusting a man with your life and end up alone and close to dead. On that note, she’s still fighting her demons when it comes to men. She’s not comfortable around them and has a hard time trusting them. Which is understandable. So I think it was really sweet the way that Shane always tried to reassure her that he was nothing like her ex. 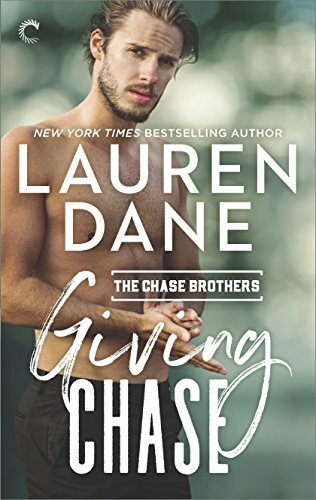 Regarding Shane, he’s the man that you all ladies would want at home so nothing to say here but, the book’s description mentions an ex-girlfriend that cheated on him and how that still affects him. Honestly, I don’t think this point was actually made because he’s not that “traumatized” as the book’s description makes you believe, ok? It’s just not that big of a deal for him, at least that’s what it looked like to me. Now, let’s take a moment to appreciate the funniest character of the book which is Shane’s mother. I think she was the sugar to this bittersweet story! She’s always really funny and perky with that wisdom that you only get with age that makes us young (young people!) feel dumb sometimes! Overall, the story is good but the plot is not that remarkable because, let’s face it, we all know that her ex is coming back and we all pretty much know how that’s going to end. So no surprises there. Anyhow, I think this could be a cute yet serious addiction to your TBR since it can be read as a standalone.